How to watch movie on Netflix through browser? 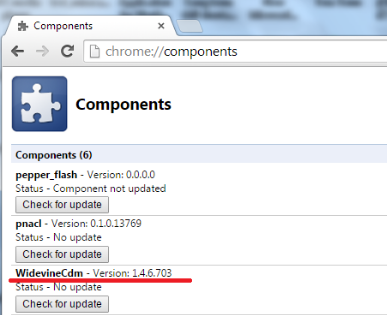 b. launch Google Chrome on your Mini PC, type chrome://components in the address bar, then update WidevineCdm to the latest version. Now you can watch movie on Netflix through Chrome. : How to do when I can't see Bluetooth icon in notification area?